Governor Ayodele Fayose of Ekiti state has revealed reasons why he decided not to attend President Muhamamadu Buhari's council of states meeting each time its being called upon. 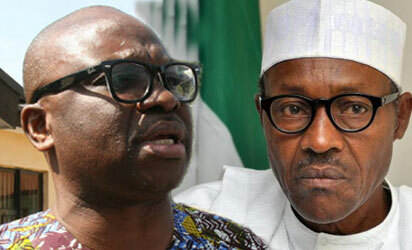 Fayose, in an interview with Vanguard over the weekend said: “Each time they call meeting, my deputy goes there. You remember I was in Abuja, and I said expressly there that they were calling it economic summit; they brought all of us there, but when I saw the list of the people that will lecture us; I couldn’t allow a sick man to be treating me – people I knew ran the economy of their states aground were to be the lecturers in the summit”. “And when you see the figures they brandished for arrangements and feeding running into over N250m; that is not economic summit. That is economic stealing. So, I send my deputy regularly”. “I wrote three letters to the president, none of them was replied. Initially, when he became president, I didn’t start like this. About two – three times I called the villa they would divert my call to the CSO, saying I cannot talk to the president. I should say whatever I want to say to him; a sitting governor? That is not Nigeria. So, at that point, I had to steer clear because they were on a vendetta mission”.